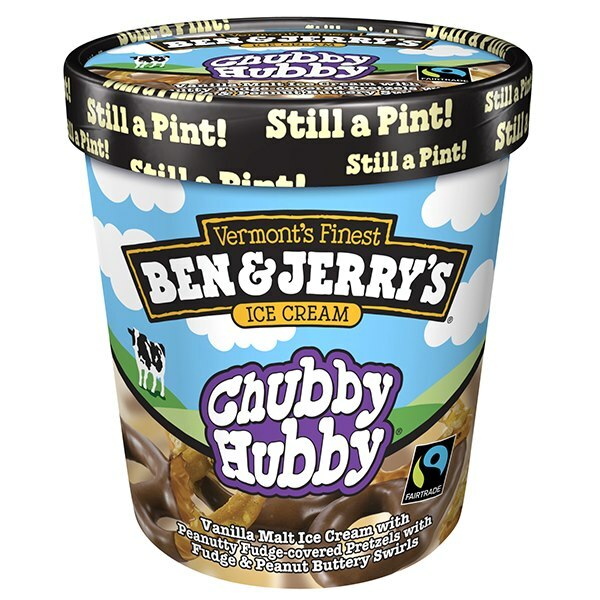 [2016 Update] During the off season, I finally grabbed myself a fresh pint of Chubby Hubby to see if I still loved it as much as I remembered. Well, yeah, it's still a lot of fun. Sure, it'll never be as great as those days of the original peanut butter filled pretzels, but it's still good. I'd be kind of shocked if this flavor ever went away. Original review after the break. Penny Test: How often do you see a mix-in this big? 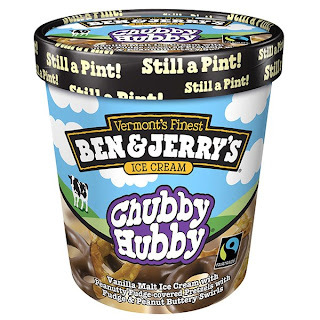 [Original Review] Oh, Chubby Hubby! You are luckily I'm not 18 anymore, because then you would not have lasted the night! I was a little worried, so many tasty ingredients ...but could they pull it off the tasty combo? Obviously, they did! 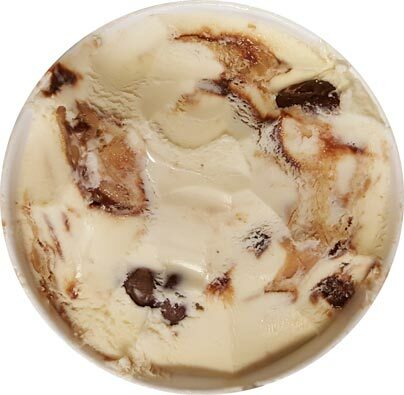 Now, Chubby Hubby has a giant mouthful of ingredients: Fudge-Covered Peanut Butter-Filled Pretzels in Vanilla Malt Ice Cream Rippled with Fudge & Peanut Butter. Oh yeah, 3 fantastic reasons to pick up some of this bad boy right now! 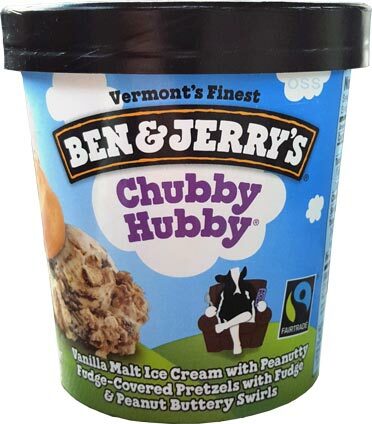 Be warned, Chubby Hubby is terribly unhealthy, over half your saturated fat for the day, so use a small spoon! After the Magic Brownies, I wasn't really sure how many pretzel pieces I would find. Well, I hit the mother load, I couldn't take a spoonful without digging into another pretzel. Nice and crunchy too, no wussy pretzels here. 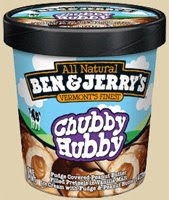 Thank you Ben & Jerry, you may have just started me back down the path to a better mood. Chubby Hubby is going fair trade in 2013! (read announcement here). 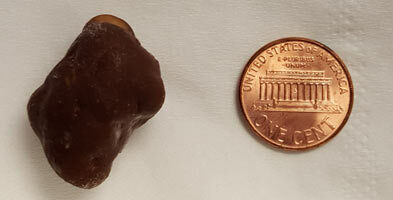 Rather than having chocolate covered peanut butter filled pretzels, we've now got peanutty fudge covered pretzels. They say it tastes the same, and I hope it does because this has always been an epic flavor. Ben and Jerry is the best. This flavor rocks my world in Palatine IL. GOOOOO Ben and Jerry's! 3 screams for your icecream!!!!!! For a while I was not finding it in the supermaket and corner stores and I got really scared they discontinued it! Found some last night!...in heaven...maybe I'll stock up! After having tried almost all of their flavors, I believe this may be the best one. It just never loses its "wow" factor. I must be the only one who didn't like this one. I love peanut butter and I love chocolate and I love peanut combined with chocolate but I didn't love this. I thought the fudge swirl overpowered the other flavors because I couldn't taste the malt ice cream or the peanut butter swirl very strongly. I'll still stick with B&J's Peanut Butter Cup, my favorite ice cream flavor, when I need my chocolate and peanut butter fix.